I'm scared of cockroaches and spiders, so I yell out for my wife to remove them from the house...haha...Big strong footballer, well not really! Its a bit gross, but the thing that I fear most is being eaten alive...second to that would be going to school/work in my pyjamas - always had nightmares about this one as a kid. 4. Describe you writing style in ten words. Colourful, energetic and … full of fun and mischief! Is that too many? Ha ha. This is a little biased, but I would have to say Deadly D because I would love to do it all over again - another footy career. Excuse me, could you please sign my Broncos jersey, my Deadly D & Justice Jones book and have a photo with me? Ha ha! In life and my footy career, family and close friends, but if I had to choose one, I would say my father. As an author, my left of centre, quirky Team Deadly D teammate, Dave Hartley. My partner in crime & co-author, Dave Hartley. With his unusual way of getting my attention via a lunchbox and the passion we both share of inspiring reluctant readers to read (using rugby league as the hook to engage our audience). I have two...please and thank-you. Using these words in life is a great way to show your respect and appreciation. Tough question, but it would have to be our first book Deadly D & Justice Jones - Making The Team. This would remind me of how Dave and my dream became a reality as published authors. Scott Prince plays for the Brisbane Broncos and has represented Australia at an international level and Queensland in the State of Origin. He brings his background in rugby league to the Deadly D and Justice Jones junior fiction series, which he co-authors with Dave Hartley. 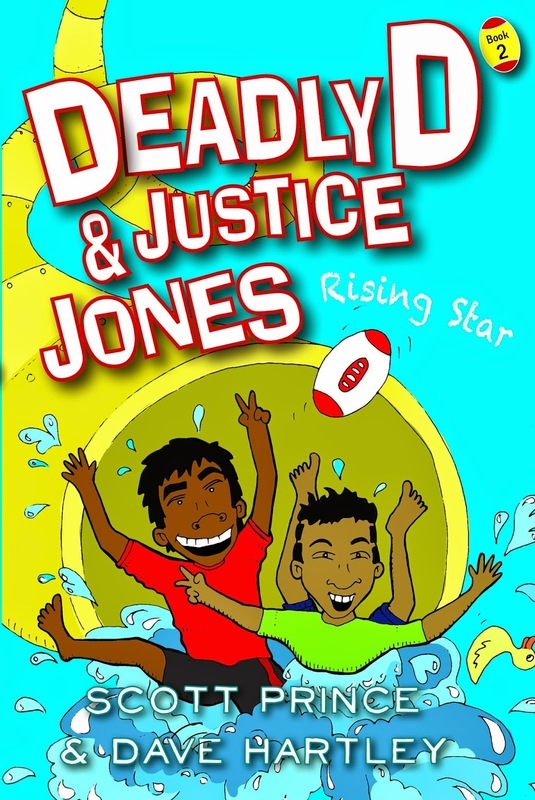 The latest book, Deadly D and Justice Jones - Rising Stars, was published by Magabala Books in September 2014. You can find out more about Scott at his website and at the Magabala Books website.